Guy Hepner + The TAX Collection present ‘Abstract Transfer Protocol’, a solo exhibition by Manuel Fernández. Opening November 29th, ‘Abstract Transfer Protocol’ is a collection of the artist’s newest works, capturing images in the “intermediate process between decomposition” – to be transmitted over a wired network and its “recomposition” in the destination point as the final work. 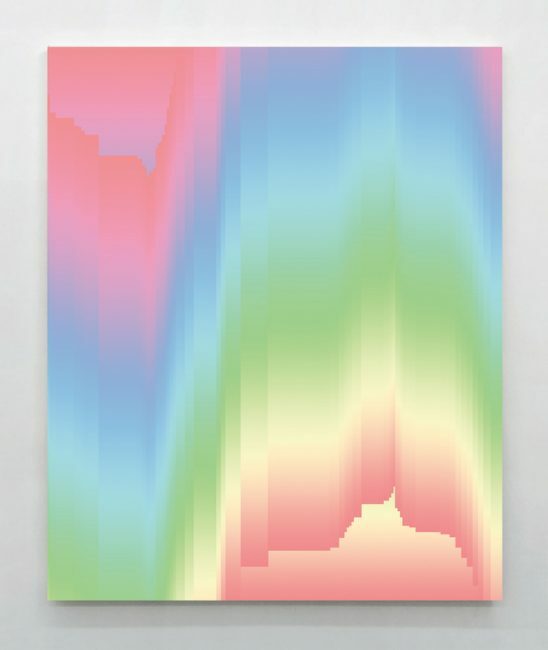 In the same way that abstract expressionism used error and seemingly random inspiration as a starting point toward new meanings and the aesthetic of the unknown, Fernández’s works emulate the glitch process – a visual error that is caused by the corruption of a digital file. The final images of the presented series are painted virtually, editing presets available in image software and combining that with organic manipulation of the digital material. The project begins at the intersection of art, pop culture and the Internet. 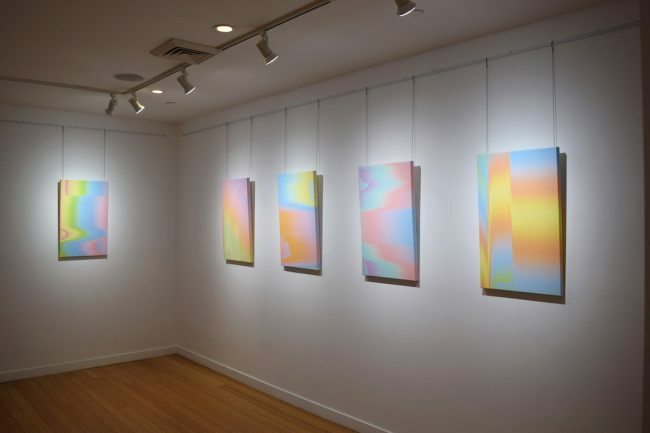 The palette is inspired by the spectrum of color available on digital devices, the composition midway between the glitch process and abstract expressionism, and the production with UV Archival ink on traditional canvas – linking the works with the classic format of art history. 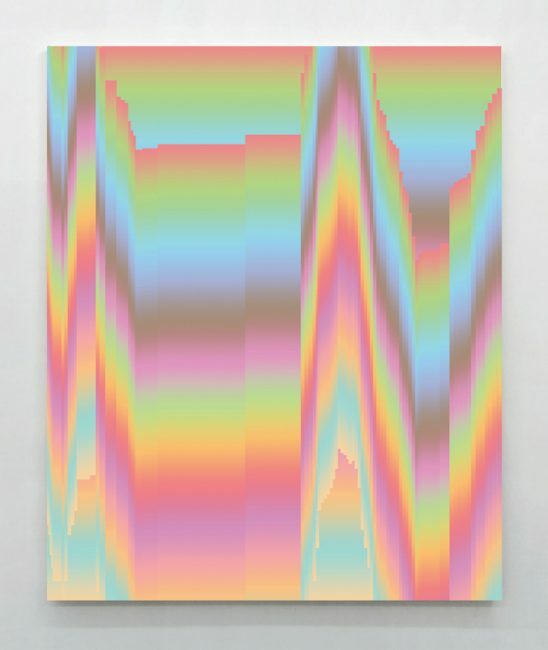 Essentially blurring the boundaries between computer graphics and painting, between virtual and real. Born in 1977, Fernández lives and works in Madrid. 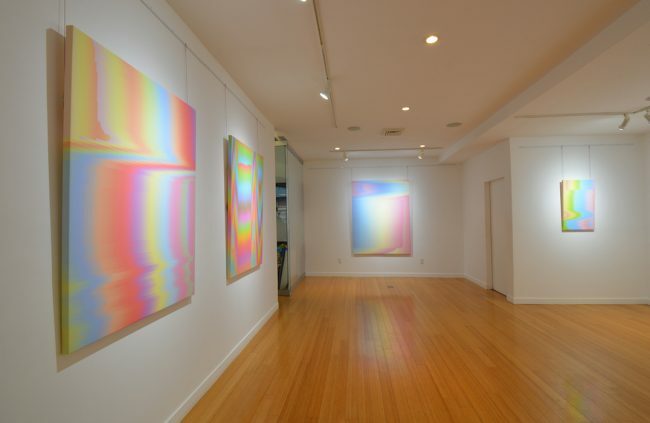 His work has been exhibited in numerous solo and collective shows in USA, Europe, and Asia. Please join us for the opening reception on November 29th from 6 till 9pm. Guy Hepner is pleased to offer several new paintings and limited editions prints for sale. Inquire via phone or email to receive further details. Blowtorch works by Ryan McCann.